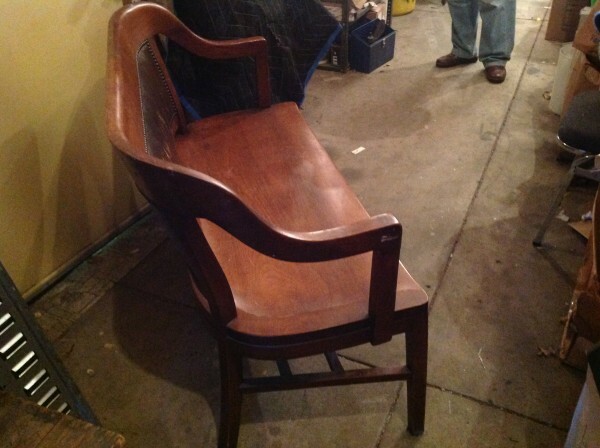 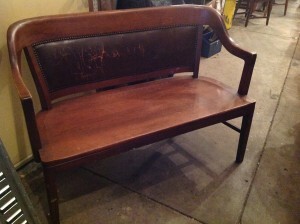 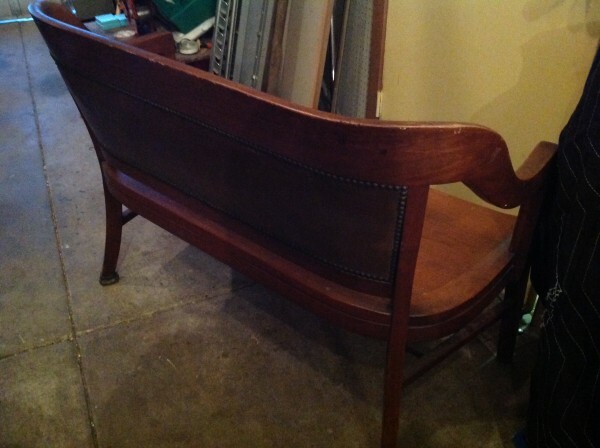 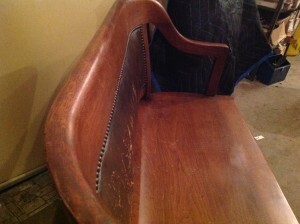 Marble and Shattuck courtroom banker bench in as found condition. 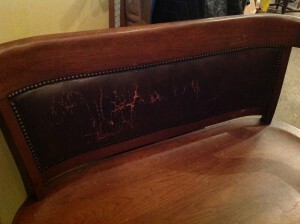 Leather and wood show signs of wear but are in usable shape. Bench has the makers mark. 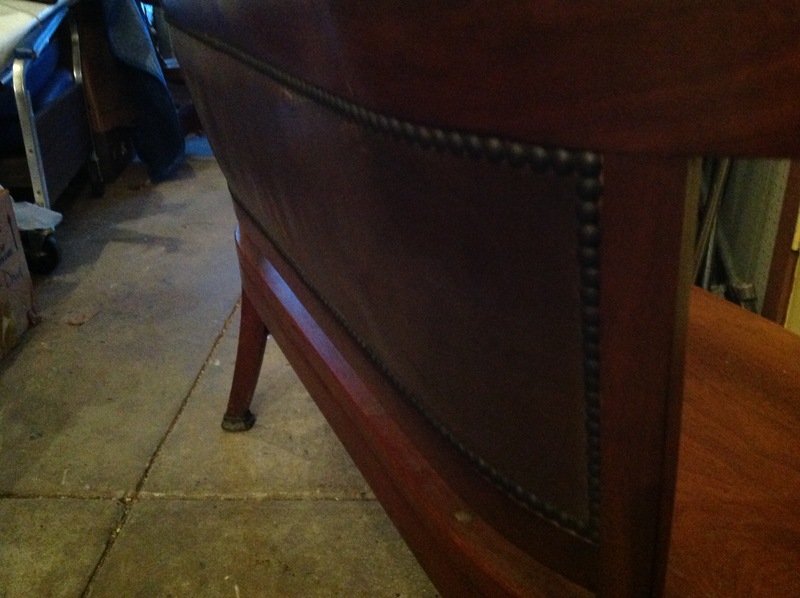 Sturdy consturction………..